Dakota Prukop. Wow, now that’s a name from Vandergrift HS in Austin, Tx. So Prukop played college ball at Montana St. He threw for 2557 yards and 18 TD passes, while rushing for 946 yards on the ground and 14 TDs after being named starter in 2014 over 8 starts. Dakota Prukop returned again for 2015 and passed for 3025 yards and 28 TDs. He also carried the ball for 797 yards and 11 TDs rushing. 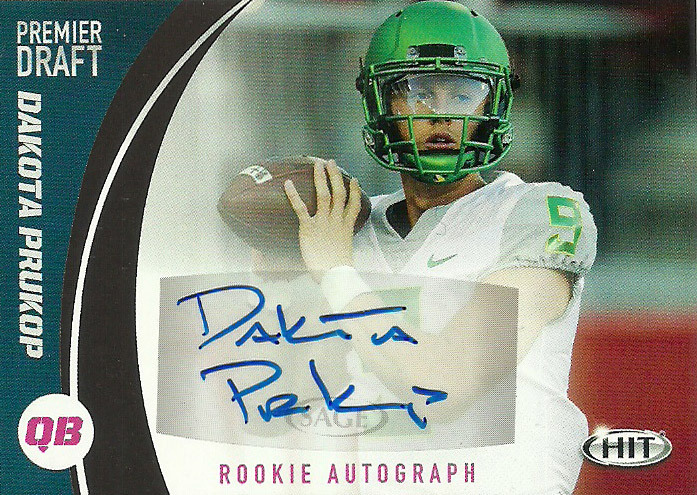 He’d transfer to Oregon in 2016, but was benched during the 6th contest of the year, after putting up 1214 yards and 8 TD passes. After going unselected during the 2017 draft, Prukop signed with the Toronto Argonauts of the CFL. He earned his way onto the roster after an impressive preseason debut, leading the Argos to a win throwing a late TD pass. As the 3rd string QB, Prukop didn’t really see any significant QB time in 2017, rather he saw action on special teams lodging 6 tackles. He then fought his way up the roster again during camp to 3rd string in 2018.